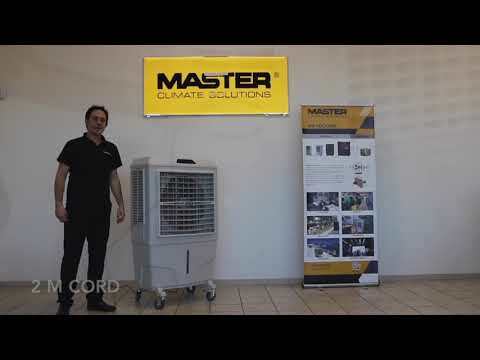 Master BC 180-340 industrial bio coolers use a simple process of evaporation to decrease the temperature of the air. A pump takes water from a built-in tank to wet a large filter. A powerful fan pushes the warm incoming air through the wet filter. The energy used by the water as it evaporates, cools the air.